When we began to write the history of Imperial Magischola, we wanted to make it clear that the Magimundi, like the real world, has always included people of all genders, religions, races, ethnicities, abilities, sexualities – all of the categories that make up the full diversity of humanity. This commitment to diversity and inclusion is one of Learn Larp Studios’ founding principles, and as a writer for them, I was charged with bringing that to life. One of these inclusive categories I chose to focus on was religion: I decided to make one of the founders Jewish since I’m Jewish myself. That meant digging into the history of the first Jewish settlers in North America. I wanted to honor the historical experience of these people and to inscribe them into the magical world. Learn Larp Studios was eager to embrace that idea, and felt that since it was my heritage, I would be a good person to write it. The first step was to look at history. The origin story of New World Magischola incorporated real people like Tituba, Virginia Dare, and Marie Laveau; I wanted to do the same for Imperial. Since we had placed the founding of Imperial Magischola’s courts in 1658, I started by researching the Jewish communities in North America at that time. One name that popped up repeatedly was the de Lucena family. They had roots in Spain, arrived in New Amsterdam (now New York), in 1655, and were among the first members of the synagogue Shearith Israel. Like many Jewish communities, this one faced difficulty and discrimination. Before New Amsterdam, they had been in South America – in what is now Recife, Brazil – which they were forced to leave when the Portuguese took over and introduced discriminatory policies against Jews. I also did not want to lose sight of the fact that Recife was a colonial city: it was surrounded by sugar plantations worked by enslaved Africans, and its founding had displaced the indigenous Tupí people. After fleeing the discrimination in Recife to settle in New Amsterdam, Jewish families endured further oppression. Governor Peter Stuyvesant also issued discriminatory edicts and repeatedly tried to expel Sephardic Jews. Some left New Amsterdam for Europe or the Caribbean, but some remained. 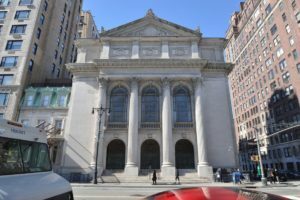 De Lucenas were members of Shearith Israel throughout the 18th century and beyond, and there are descendants of the family in the US today. This research gave me what I needed: a documented Jewish family in North America, with reason to want to seek refuge and better opportunities around 1658. Now I set about weaving them into the Magimundi, the North American magical universe. De Lucena’s interest in parabotany began with his time as a child in Brazil’s rainforests. 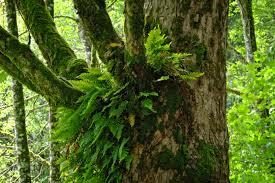 In 1630, when Isaac would have been born, the de Lucenas were living in South America on the edge of the rainforest. So I decided to make Isaac a botanist: he would have been fascinated with the rich natural environment that he had around him. In the Magimundi, botany is expanded to include magical plants, those that may be unknown to the mundanes. Where better for these unusual and undiscovered plant species than the diverse Amazonian rainforest? History gave me a happy coincidence in Rabbi Moses Aguilar, a historical person living in Recife around that time. The Aguilar family was already established within the Magimundi; there have been several characters named Aguilar. From there, it was a short step to say that Rabbi Moses Aguilar was also a wizard and that he was Isaac de Lucena’s tutor in magical as well as mundane scholarship. I also liked the idea that magical and mundane academics were not that far apart. 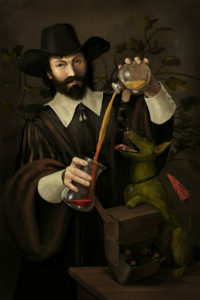 In 16th and 17th century Europe alchemy was a rigorous field of academic study. The great thinker Paracelsus – namesake for the court that Isaac de Lucena founded – studied immortality potions and methods for transforming lead into gold alongside more conventional medical and scientific practices. This meant that a scholar like Isaac de Lucena, heir to the scholarly traditions of Spain and Portugal in particular, would have studied alchemy even if he weren’t a wizard. It was also important to me to include women in the Magimundi’s early history. That was the origin of Isaac’s wife, Esther Campanal. Like the de Lucenas, the Campanal family is historical: they were among the first Jewish residents of Newport, Rhode Island. Esther was a brilliant alchemist and scholar, but when she tried to publish under her own name, every European press refused her. So she published some of her works anonymously, and others under her husband’s name. Esther herself is fictional, but her situation is real: countless women scholars have had their work similarly ignored or erased. I created Esther Campanal long before I read The Weight of Ink by Rachel Kadish; check out that excellent novel for another fictional 17th-century Sephardic woman scholar with a similar name who likewise needed to find ways to study and learn despite society’s restrictions. This erasure wasn’t left behind in the 17th century, either; see the recent discussion of the “thanks for typing” acknowledgment in academia. Even though Imperial Magischola had previously been established as a patriarchal institution, admitting only men until the 20th century and privileging men’s work throughout its history, I wanted to show that women were present and active at all points in history, even if their voices were being suppressed. Imperial Magischola was imagined this way, according to Learn Larp Studios, to provide that kind of investigation into the policies and to uncover what was beneath. Once I had established that Isaac would be a botanist, I set out to incorporate some physical aspects of the real world into this magical history. Paracelsus Court Founder Isaac de Lucena was known for his alchemy, parabotany, and herbological distillations. Isaac lived about 200 years before the creation of Central Park, but since he lived in New York, I couldn’t resist the idea that The Ramble was one of his magical-botanical experiments. I liked the idea that there was a spot in Central Park so magical that it couldn’t be tamed, and one that always remained as a refuge for people in need. Another real-world element that was too good to pass up was the Labyrinth on the campus of Bryn Mawr, the original site of Imperial Magischola. The historical Isaac de Lucena, like most of his family, probably left North America in the early 1660s. A person by that name died in Jamaica in 1684, likely the same one who had lived in New Amsterdam 20 years earlier. But our magical Isaac de Lucena lived happily at Imperial Magischola until 1707, growing his garden and teaching students the wonders of alchemy and parabotany. Rebecca Slitt is a longtime larper and tabletop roleplayer, and an editor and partner in Choice of Games LLC. She is the author of the interactive novels Psy High and First Year Demons and has contributed to several tabletop RPGs, including TimeWatch RPG, Noirlandia, and Tiny Dungeon Hatchling Edition. She used to be a professor of medieval history; now, she uses that knowledge to tell time travelers the best places to go in 12th-century London and to make sure that her dragon jousters follow the principles of chivalry.